If you’re business is looking to win UK tenders, you need a service that helps you every step of the way. That’s where Supply2Gov comes in. We take the hard work out of finding and winning tender opportunities suitable for your business. 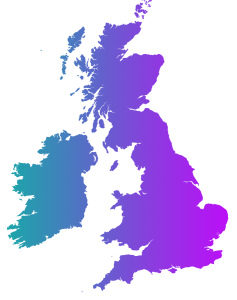 Whether it be in your free local region or throughout the UK & ROI, we’ll do the leg work so you can get back to running your business. With tight budgets and limited resources, it can be a challenge for your business also to find the time needed to source procurement opportunities that could help your business grow. But with the volume of opportunities available and the Government commitment that £1 of every £3 of procurement spend will go directly to SMEs (including sole traders, micro and small businesses) by 2020, it’s essential that you find a solution that takes the hard work out of finding contract opportunities and gives you everything you need to win them – that’s where Supply2Gov can help. Put your time and money to better use and let the opportunities come to you. Why spend your time searching through multiple portals when you only need one? Offload routine tasks and let the opportunities come to you. Last year, we published over 34,000 more contract opportunities than official Government portals, which means that you’ll never miss an opportunity again. Our team of procurement specialists are here if you need advice to help you through every stage of the procurement process. The size of your business doesn’t have to be a limitation. With the help of Supply2Gov, you can focus on the tasks that really matter, such as growing your business. Running a business can be hard and incredibly time consuming. With so many other things to worry about, the last thing you’ll want to do is spend countless hours trying to search through multiple databases to find suitable contract opportunities. That’s why we’ve designed Supply2Gov specifically to help those who are new to public sector procurement. We make it as easy as possible for you to find relevant opportunities as soon as they become available. With Supply2Gov, you can focus on running your business and let the opportunities come to you. The more countries you select the more you save!